The University of North Georgia Visiting Authors Program hosts contemporary writers to discuss their work with our students and community, offering illuminating perspectives on human experience—revealed through their poetry, fiction, essays, and memoirs—as well as insights about the writing and publishing processes. Munaweera is the award-winning author of Island of a Thousand Mirrors and What Lies Between Us. Her work has been widely anthologized. 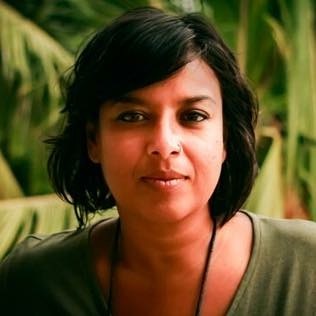 Island of a Thousand Mirrors, a book about the Sri Lankan civil war, was long-listed for the Man Asia Literary Prize and the Dublin IMPAC Prize. It won the Commonwealth Regional Prize for the Asian Region. What Lies Between Us explores the ongoing legacies of intergenerational trauma and secrecy. It won the Sri Lankan National Book Award. Munaweera currently teaches at Mills College and at the Ashland University low-residency M.F.A. Program. Acclaimed author of the novels Playing for the Devil's Fire, Sofrito, and short fiction in national literary journals, Phillippe Diederich, will give a talk titled, "From Headlines to Fiction: How Current Events Influence Literature." Focusing on his novel Playing for the Devil’s Fire (an acclaimed young adult novel set in Mexico), Diederich will discuss the power of fiction and how stories that address social issues can tug at our emotions and lead us to better understand ourselves and others. 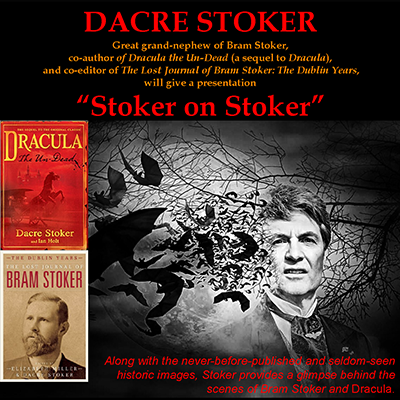 Dacre Stoker, great grand-nephew of Bram Stoker, co-author of Dracula the Un-Dead (a sequel to Dracula) and co-editor of The Lost Journal of Bram Stoker: The Dublin Years, will give a presentation - "Stoker on Stoker." Along with the never-before-published and seldom-seen historic images, Stoker provides a glimpse behind the scenes of Bram Stoker and Dracula. Hosted the launch of Grand Central Review, an online space for fiction, poetry, reviews, columns, and art. The website's editors—Richard Monaco, Scott Thompson, and Leverett Butts—led the on-site and remote roundtable conversation. A book signing followed the roundtable discussion.